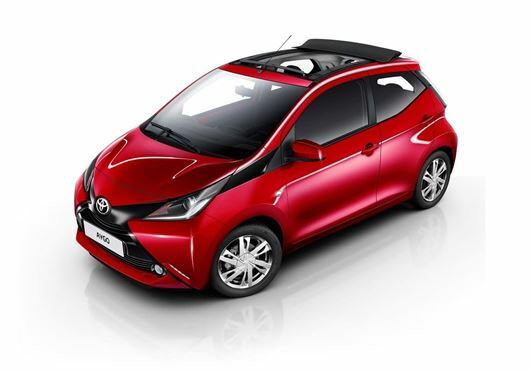 Toyota has expanded its Aygo appeal by offering a new open-top option. The retractable x-wave canvas roof is available to order now from £895. The electronic roof is operated by a switch next to the map control light and can be specified on the five-door Aygo x-pression model only. Finished in black, the roof is factory fitted and full length, ensuring your rear seat passengers get to enjoy the wind-in-the-hair experience. Available from £10,995, the x-pression model sits in the middle of the Aygo range, with 15-inch alloy wheels, front fog lamps, LED daytime running lights and a touch multimedia system fitted as standard. The retractable x-wave canvas roof will raise the base price to £10,890 and be available on deliveries from March 2015 onwards.